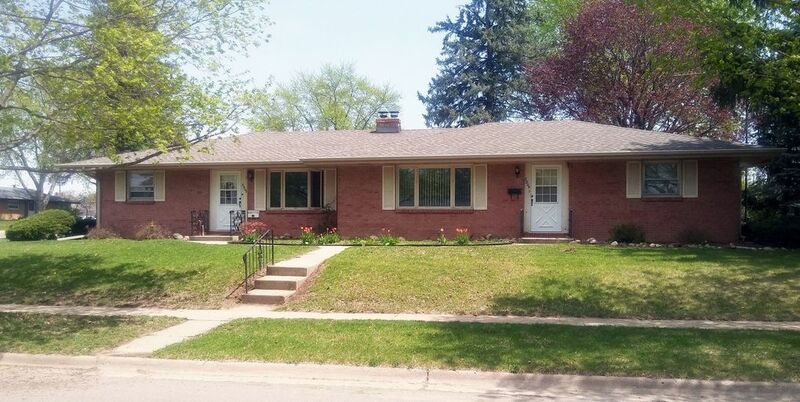 Ranch style duplex with full private and separate basements for each tenant and each includes laundry hook ups. One side has improved basement that is great for home office or hobby room. New roof and gutters in 2010, new garage doors and openers in 2017 with 1 unit having a 2 year old heater. One unit is larger than other and rents for more. This property is in good condition and has hardwood floors. One unit held vacant making this property easy to see. Owner will assist buyer to rent unit upon accepted contract to purchase. Building floor plan boasts sizable living rooms and spacious eat in kitchens. Easy access to I39, US 20 Bypass and I90. Convenient location not far from banks, grocery store and most other shopping needs.